No one in Houston makes a bowl quite like the one at Bun Bo Hue Co Do. 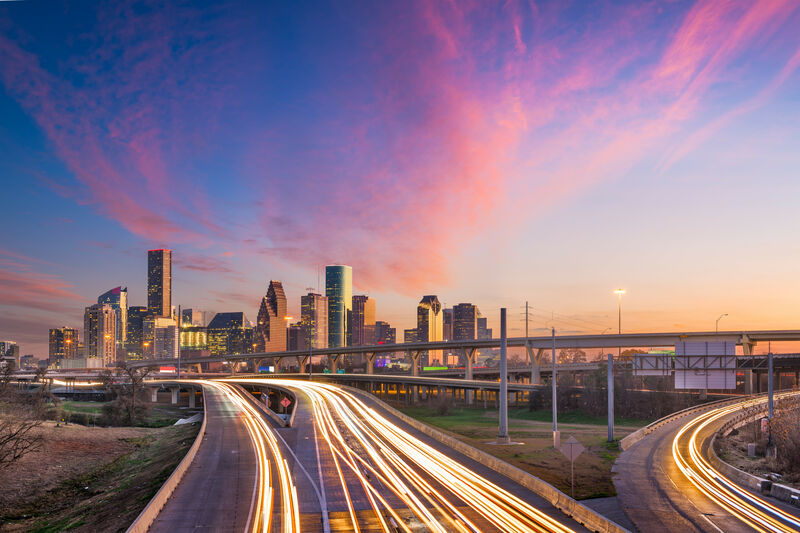 When it comes to Vietnamese food, most Houstonians are familiar with and have enjoyed the pleasures of the beef noodle soup called pho. Ask them if they’ve tried bun bo Hue, however, and most have no knowledge of the dish, let alone have had a taste of it. But I’m going to let you in on the secret of where to find the best bowl of bun bo Hue in Houston. 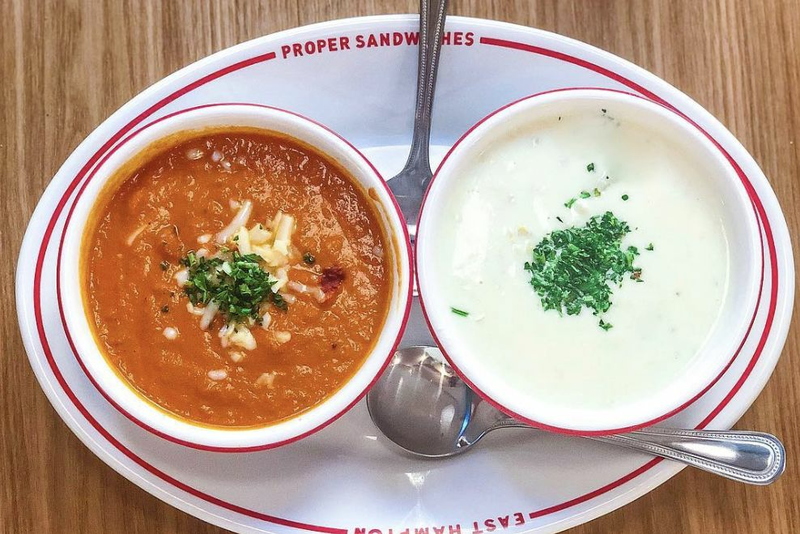 But first, let’s get to know the dish. A specialty of the former imperial city of Huế in Central Vietnam, the actual name of this spicy beef noodle soup is bún bò giò heo, where “bún” stands for the noodle, a thick round white rice vermicelli, “bò” means beef, and “giò heo” stands for pork hock. Due to the specifics of its origin, the dish is also referred to as “bún bò giò heo Huế,” “bún bò Huế” or simply “bún bò” for short. As someone whose family is from Northern Vietnam, where the regional cuisine is completely different, I didn’t grow up eating bún bò Huế. I remember my mom getting excited whenever she could get her hands on a bowl, not only because it’s a very labor intensive dish to make, but because it was rare to find a really good one. Back in the those days, there weren’t that many Vietnamese restaurants in the United States either, so my only exposure to the dish would be at someone’s house, often made by the aunt or the grandmother who had a secret family recipe that they’d been making for years. Consequently, in part because I was too young to appreciate it (I’ve always been a wimp when it comes to spices, and had an irrational fear of the abundance of orange oil floating at the top of the bowl), it wasn’t until I was well in my twenties and had graduated from college that I found a true appreciation for the dish. In fact, I’ll always remember with regret the one time I went home with my college boyfriend and stupidly declined his mother’s homemade bun bo, citing my fear of spice (I know, I was a prize idiot). Because the reality is, when I finally let go of my fears and discovered the pleasures of bun bo Hue, I was hooked. Pork hocks, pig’s feet, beef shank, lemongrass, chile, fish sauce and fermented shrimp paste—all of which are used to make the broth—make for an insanely addictive, hearty flavor bomb of a noodle soup that is so downright tasty, most other noodle soups pale in comparison. 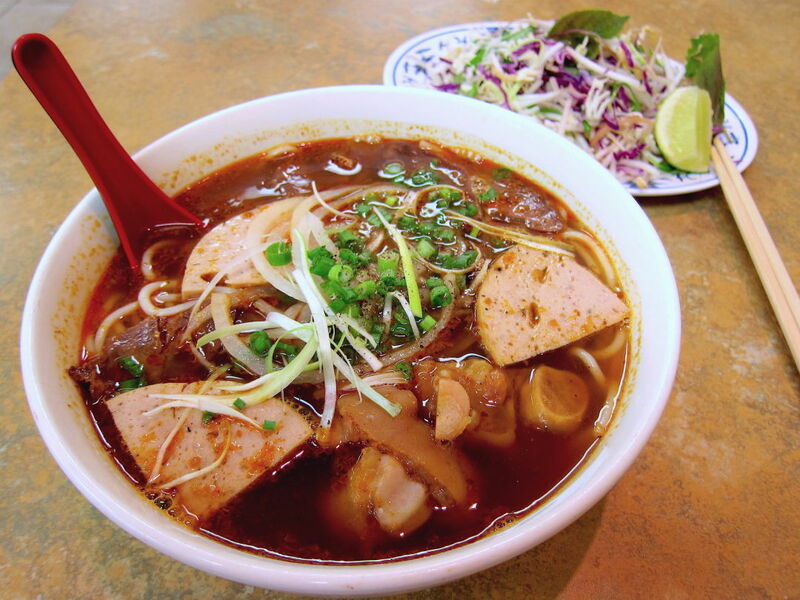 Malaysian laksa, a spicy Malaysian seafood noodle soup, might be the closest in terms of complexity, but in depth—particularly the rich, hearty pleasure of a really well-made bone broth—nothing beats a correctly prepared bowl of bun bo Hue. 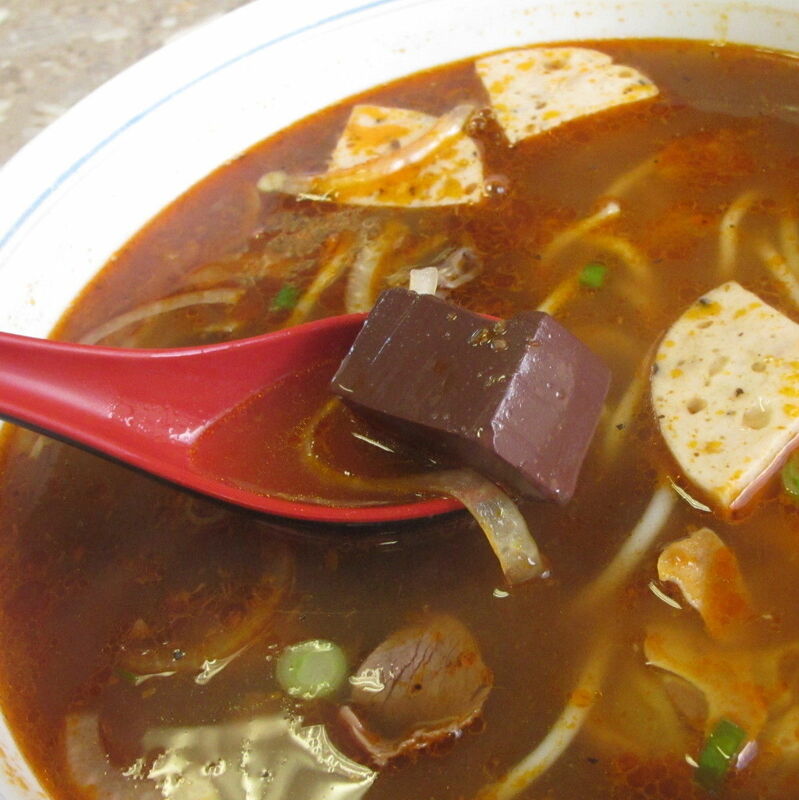 Until recently, finding a good bowl of bun bo Hue in Houston was hit or miss. Nineteen years ago, when I first moved to Houston, the only place you could a decent bowl was the now defunct Pho Nguyen on Beechnut and Wilcrest. 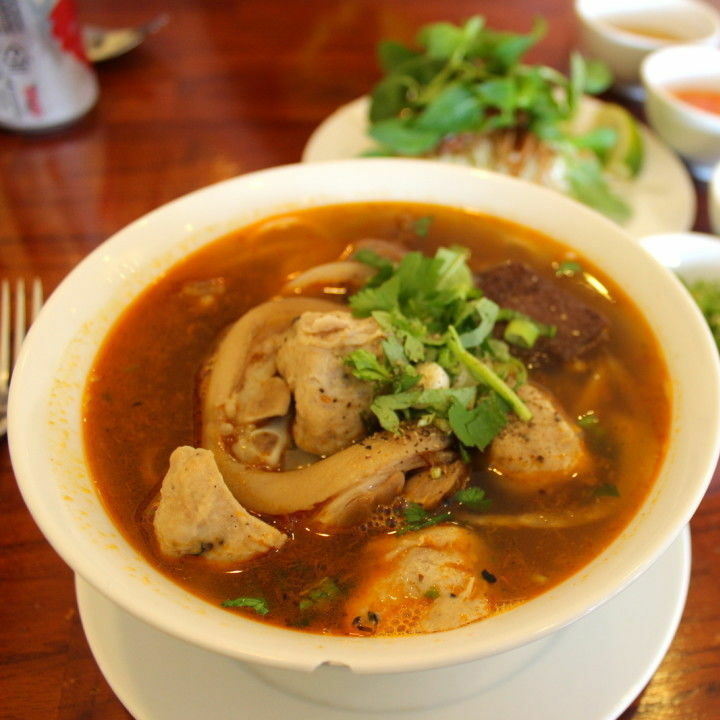 More recently, Vietnamese restaurants specializing in central Vietnamese cuisine, including Dong Ba on Beechnut and Nam Giao on Wilcrest started popping up, and then came a place that specialized in bun bo Hue to the exclusion of all else, Bun Bo Hue Duc Chuong, now with three locations in Houston. Since the only thing on the menu at Bun Bo Hue Duc Chuong is bun bo Hue, it’s definitely one of the best versions you can find in Houston. In fact, it’s been my go-to when I am desperately craving a bowl for some time now. But lately it’s become so commercial that it’s lost that home-made taste. I also get the sense that they have been adding a little too much MSG to boost the flavor. 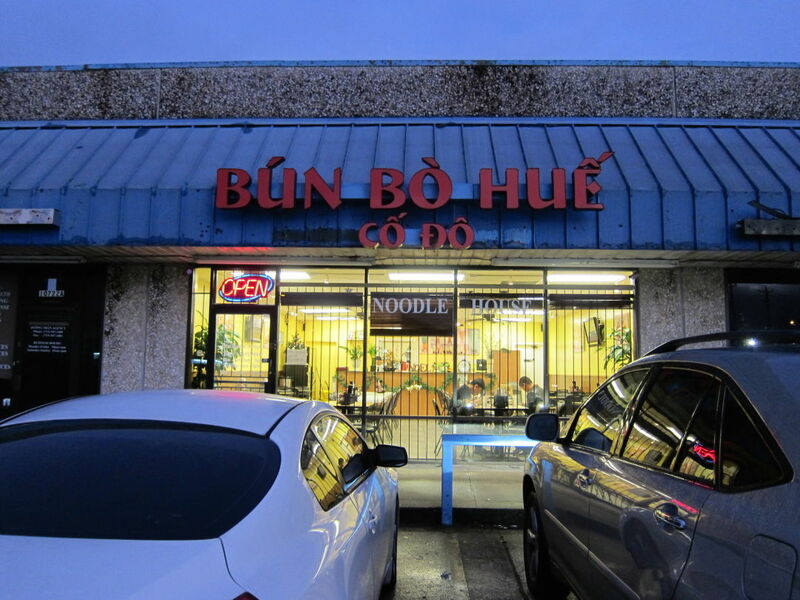 Enter Bun Bo Hue Co Do in Houston’s south belt, off of Fuqua and I-45. 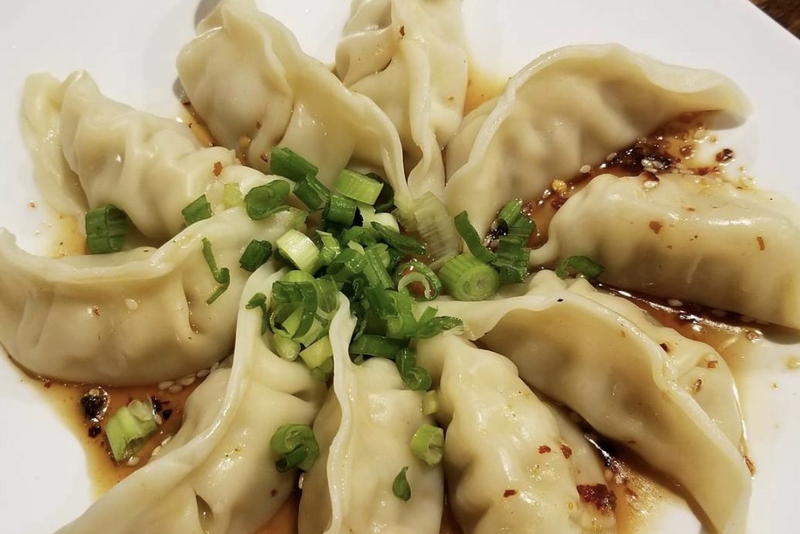 I stumbled upon the place a couple of weeks ago when I arrived at Hobby Airport famished and craving Vietnamese food after spending five days eating Mexican food in Cabo. 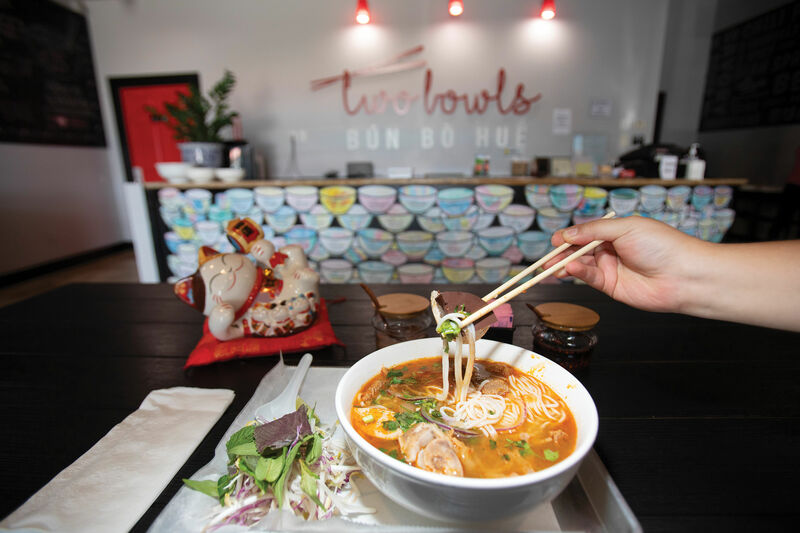 Knowing that the area had a strong Vietnamese presence, I searched online for a well-reviewed Vietnamese restaurant, and Bun Bo Hue Co Do, just three miles from Hobby, caught my eye. It was just barely past 5 p.m. when I arrived at the small hole-in-the-wall in an weathered strip mall. There were black bars in front of the restaurant, but it was brightly lit from within, the sunny yellow paint welcoming. Service was friendly and quick, and within minutes I had before me a steaming hot bowl of bun bo, served with a small side dish of shredded cabbage and bean sprouts with lime wedges. If you’ve seen the movie Ratatouille, you might well remember the scene when the food critic, Anton Ego, takes a bite of Remy the rat’s ratatouille, a bite that immediately takes him back to his childhood and the dish that he so enjoyed as a young boy. There’s a moment of instant recognition, that “a-ha!” that goes off in your head from the first taste, and that’s what happened to me when I took a sip of the broth at Bun Bo Hue Co Do. Unlike the version of Duc Chuong, which, like I said, has more of a commercially made, high-impact flavor, this one had a rich, deep taste that didn’t immediately hit you in the face. It was the kind of broth that reels you in slowly, intriguing from the first, then grabbing hold of your senses with each subsequent sip. I loved everything about it, including the toppings—moist, tender, marbled slices of beef shank; perfectly cooked slabs of pork hock; and triangles of peppery beef sausage—which were added in perfect ratio to the broth and noodle so that I ate the entire bowl clean, slurping up every last drop of broth. At Bun Bo Hue Co Do, I am happy to report that they most certainly do.